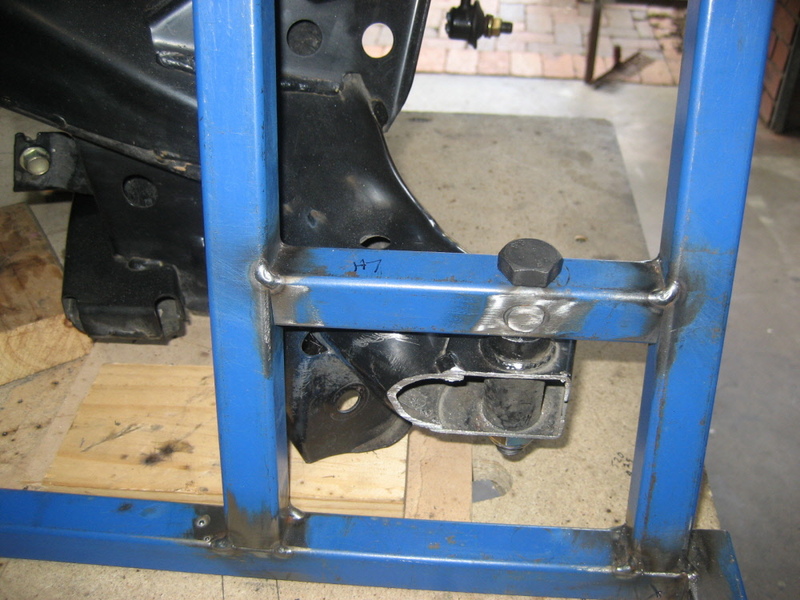 A small amount was cut off the subframe ends to make it more compact. The open ends were closed off by welding steel plates in place. A crush tube has been welded into the square chassis tube for the mounting bolt and the section was later reinforced with a steel plate.